As we cross into the Bronx, we’ll approach the Deegan Expressway and the Bruckner Expressway. As soon as we get off the bridge, keep left for I-87/Major Deegan Expwy to the Thruway and the George Washington Bridge. 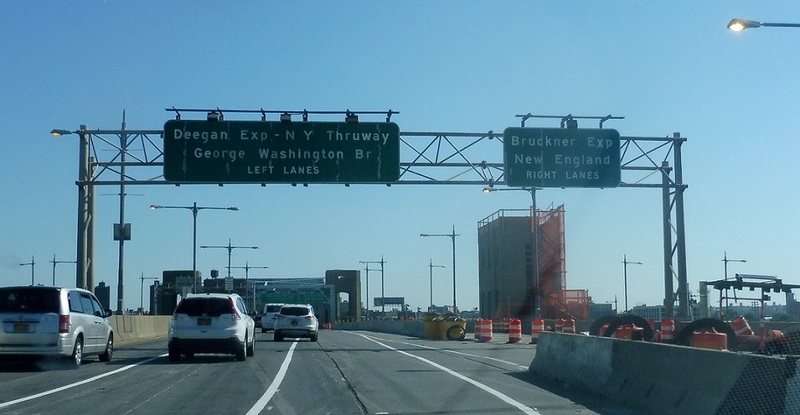 Keep right for the Bruckner towards New England. This is the southern terminus of I-87.